A blend of three dimensional technology, artistry and craftsmanship create dazzling flickering flames that dance between the logs. The crackle of a real wood fire controlled by a convenient remote control. 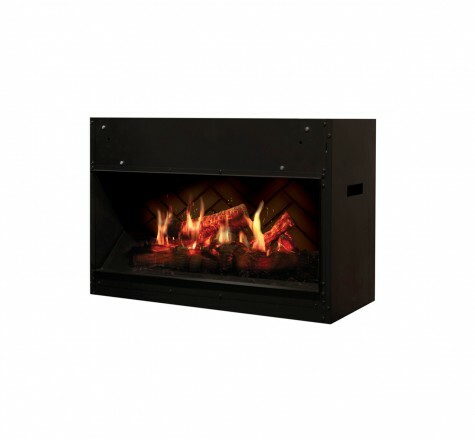 Patented LED inner glow logs and pulsating ember technology allow the logs and embers to glow in concert with the flames. Fully serviceable from the front, Opti-V lends itself to even the most creative of built-in designs and trims. Zero clearance for built-in applications; maintenance-free and operates for less than 1¢ per day. 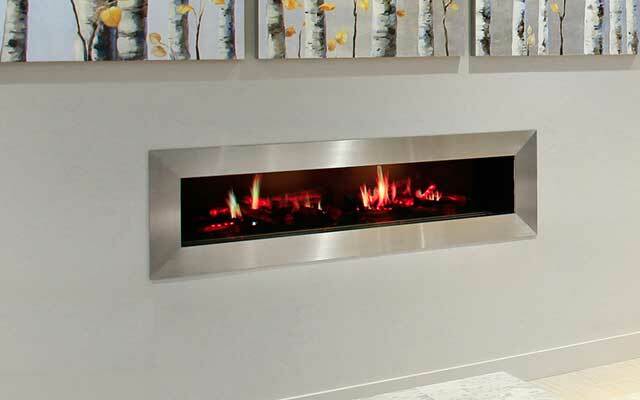 Opti-V™ Duet uses unprecedented technology to render flames and sparks for a virtual fireplace experience like no other. 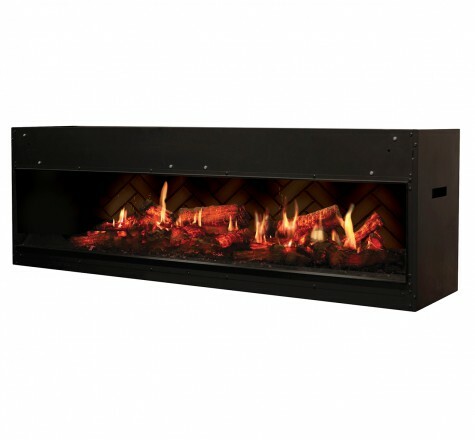 The unique and patent protected design combines ultra realistic flickering flames with three dimensional LED logs that sporadically spark and crackle! The perfect blend of magic and realism – Opti-V™ is the most unbelievable flame effect yet. Opti-V™ Solo uses unprecedented technology to render flames and sparks for a virtual fireplace experience like no other. The unique and patent protected design combines ultra realistic flickering flames with three dimensional LED logs that sporadically spark and crackle! The perfect blend of magic and realism – Opti-V™ is the most unbelievable flame effect yet. The Opti-V™ Aquarium uses unprecedented technology to render a virtual aquarium experience that is stunningly beautiful and maintenance-free. 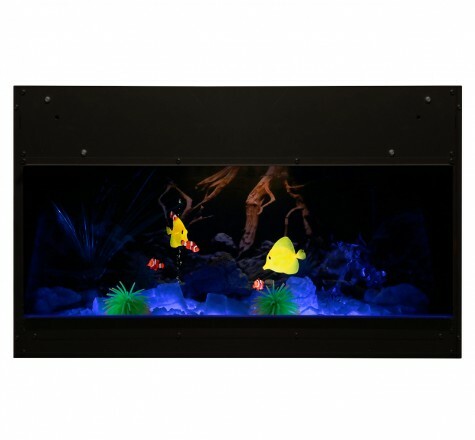 The patent protected design features ultrarealistic swimming fish within a three dimensional environment that is vibrant in both color and definition. The perfect blend of magic and realism, the Opti-V™ Aquarium is virtually amazing. Spending Time with Family Has Never Been so Fun!